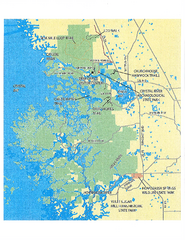 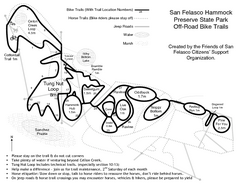 Map of Moro Bay State Park showing trails and park amenities. 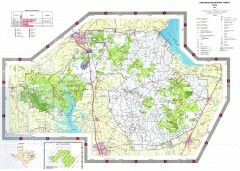 Map of Arkansas Historical Delta Heritage Trail both completed and uncompleted sections. 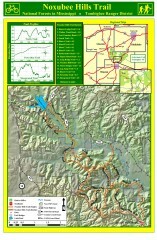 Map of Logoly State Park showing trails, park sites and amenities. 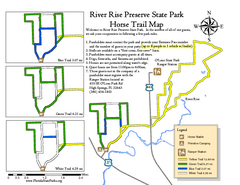 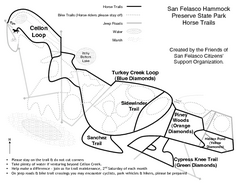 Trail map for hiking, bicycles and horses in Village Creek State Park. 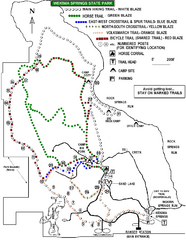 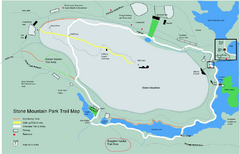 Trail Map for White Oak Lake State Park. 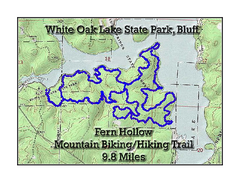 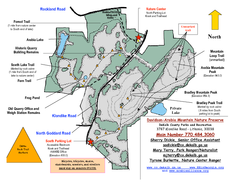 Topographical Map of Fern Hollow Mountain Biking and Hiking Trail in White Oak Lake State Park. 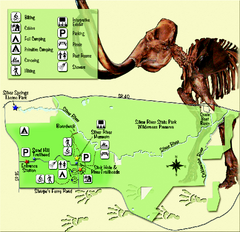 Map of the trails and earthworks sites of the Toltec Mounds Archeological State Park. 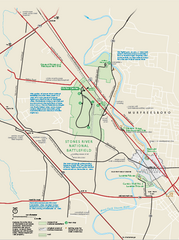 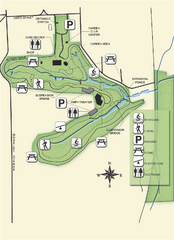 Map of Jacksonport State Park showing historical sites, trails, amenities and river access. 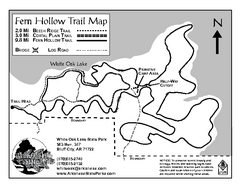 Map of Millwood State Park showing the Wildlife Lane Trail. 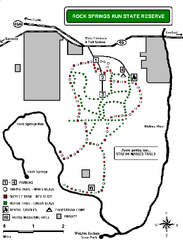 Map of Woolly Hollow State Park showing hiking trails and park amenities. 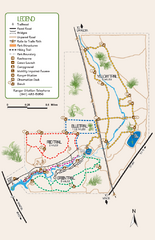 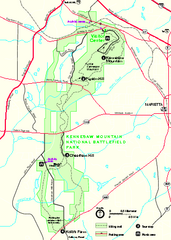 Map of trails for Lake Charles State Park including othe park sites and amenities. 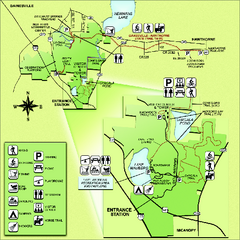 Map of Old Davidsonville State Park historical sites, amenites and other park sites.